LIKE every grandmother, Queen Elizabeth II loves her grandchildren, but the British monarch appears to have a particular soft spot for soon-to-be-married Prince Harry. Over the years, Harry, 33, and the Queen have been pictured joking and laughing with each other, and their special bond has only seemed to strengthen over time. But is he the Queen's favourite? Here's how the evidence stacks up. Speculation that the 33-year-old prince was the favourite royal grandchild began last December after the Queen gave her annual Christmas speech and sharp-eyed viewers spotted a photo of the newly engaged Harry and his fiancee Meghan Markle in the background. While the Queen also had photos of herself and Prince Philip, Charles and Camilla Parker-Bowles, and great grandchildren Prince George and Princess Charlotte on display, there was no sign of Prince William and Catherine - or any of her other children or grandchildren. 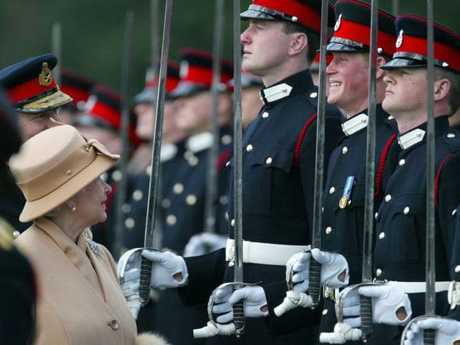 The Queen's relationship with Prince William is thought to be more serious because she's preparing him to be future king. However, as it's unlikely Harry will ever sit on the throne (he's now sixth in line having just been bumped down by the birth of Prince Louis), they are able to be more relaxed around each other. E! News royal correspondent Melanie Bromley agrees, saying that Harry and the Queen had a more "fun" granny-to-grandson relationship compared to William. 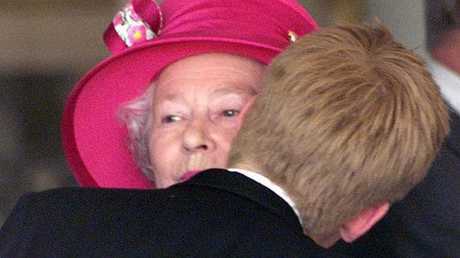 "William is going to become king, so there has been a very close relationship between William and the Queen. It's half family and half business," Ms Bromley told News Corp Australia. "There are things that she's teaching William that she also taught her son (Prince Charles) as far as the protocol and what's expected of him. "William is in a very different role (to Harry) ... he was born for this job. "For Harry and the Queen, it's always been quite obvious that as soon as William and Kate started to have children, Harry's potential for every becoming king ... he wouldn't be expected to do that. 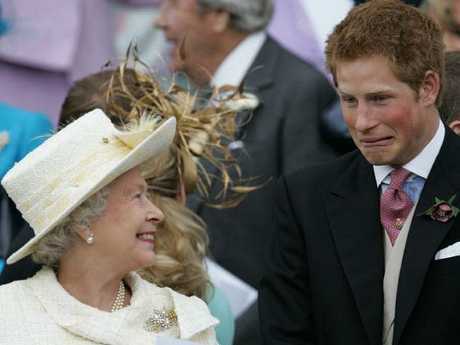 "His relationship with the Queen is a lot more fun and grandson-to-grandmother." Ms Bromley said Prince Harry had been "given a lot more freedom" than William and added that "both William and Harry are very close to the Queen". This special bond between the pair was obvious when they filmed a promotional video for the Invictus Games in 2016. The Games are a multi-sport competition created by Harry in which wounded or injured soldiers can compete. 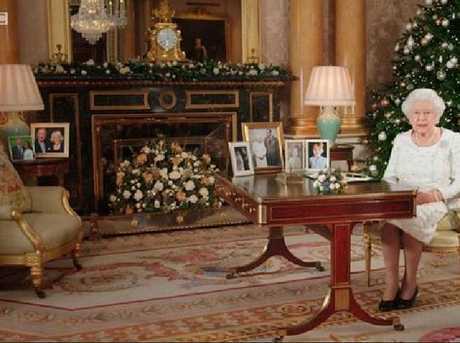 In the video, the Queen is sitting with Harry looking through an Invictus guide book, when Harry's phone buzzes with a cheeky video from former US President Barack Obama and First Lady Michelle, who issue a challenge to the English team, telling them to "bring it". The Queen replies, "Oh really? Please," as Harry mimics dropping the mic. 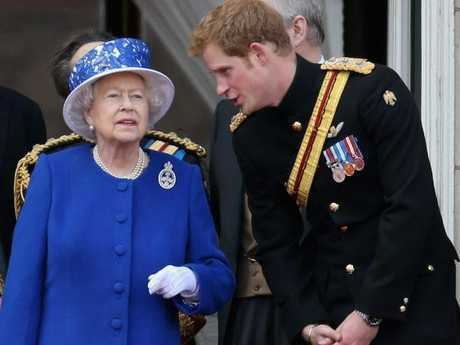 Later Harry told the BBC that the Queen enjoyed participating in the playful take-down, as did he. Harry's wife-to-be, Meghan Markle, has spoken about the special relationship Harry shares with his grandmother. "To be able to meet her through his lens, not just with his honour and respect for her as the monarch, but the love that he has for her as his grandmother, all of those layers have been so important for me so that when I met her I had such a deep understanding and, of course, incredible respect for being able to have that time with her. She's an incredible woman," she said. Markle was quickly welcomed into the royal family, even scoring an invite to the family's Christmas Day church service and dinner - breaking a longstanding tradition. Previously only royal spouses could attend the event at Sandringham. 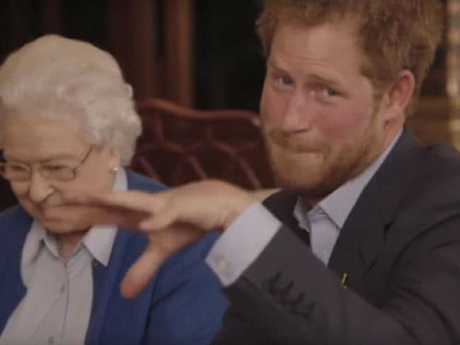 Last month, Harry gave a glimpse of his cheeky relationship with his grandmother by cracking a joke at the Queen's expense during her 92nd birthday concert. "Tonight we are celebrating The Queen's birthday but Your Majesty, if you do not mind me saying, you are not someone who is easy to buy gifts for," he joked. Not many people would dare make fun of the Queen! Some argue the fact that the Queen will attend Harry's wedding is another sign she is willing to make an exception for her favourite grandchild. The Queen, who is the head of the Church of England, was a no show at her son Prince Charles's wedding to Camilla as both had previously been married and according to church teachings "marriage is for life". It was reported in The Telegraph that the Queen felt she had to put "her role with he Church before her role as a mother". Markle is also a divorcee, however the Queen has given the young couple her blessing and will be there on their big day.